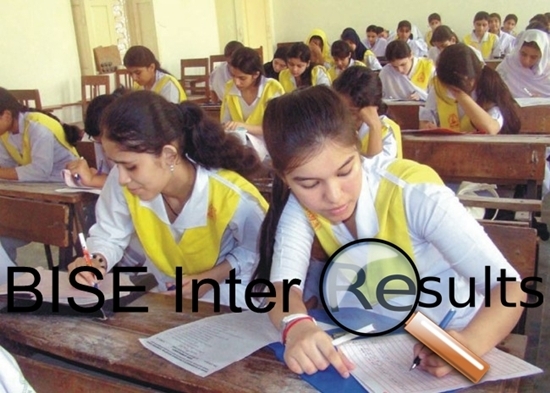 All Boards of Intermediate and Secondary Education (BISE) will be announcing intermediate results on 12 September 2015 at 10:00AM. Students who have appeared in the exams, are waiting for their results of FSc, FA, ICS and ICom etc. Click on the name of your board from the following list to know your result. You may get your inter result via SMS on your mobile. Just send your Roll Number to 800240 to know your BISE Faisalabad result. Example 300001 send to 800240. To know Sargodha Board Intermediate result via SMS, send roll number to 800290. Result gazette in form of CD will also be available at UBL Bank Court Road Sargodha at a price of Rs. 300. Servers of board websites become busy/ overloaded on the first day of the results, so sometimes you have to try several times before you get your result.